Very nice Caanbash with nice weathering, I have that very same F-14 waiting to be finished on the bench. I was wondering if you guys might be able to help me. 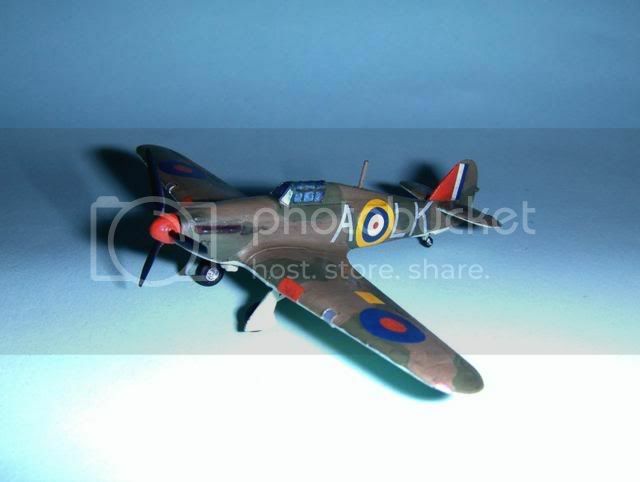 I purchased a 1/144 Hawker Typhoon and I want to build it with a "moving" propeller (as if the aircraft was running). Any ideas on how I could accomplish this effect or where I could buy one of these propellers in 1/144? You can use a clear hard piece of plastic cut to the diameter. Then paint the faded props on to it. 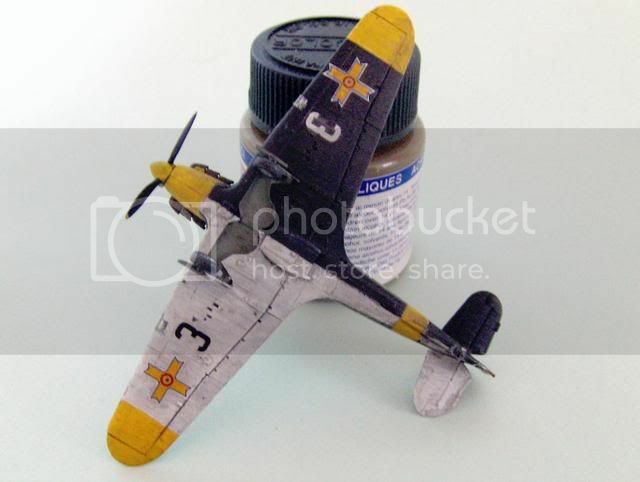 I have seen this done on different scale planes, and am working on this for one of my 1/144 scale P-51's Mustangs. Penny has a good tip for you there. Another variation is to use a pie shaped wedge, one for each blade of the prop. Lightly sand the clear plastic to simulate blurring, and very lightly spray the tip colors around the outside very blurred. I've seen this done several times, and it is most effective. Hi Bruce these are the Sweet kit and make up into very nice models. 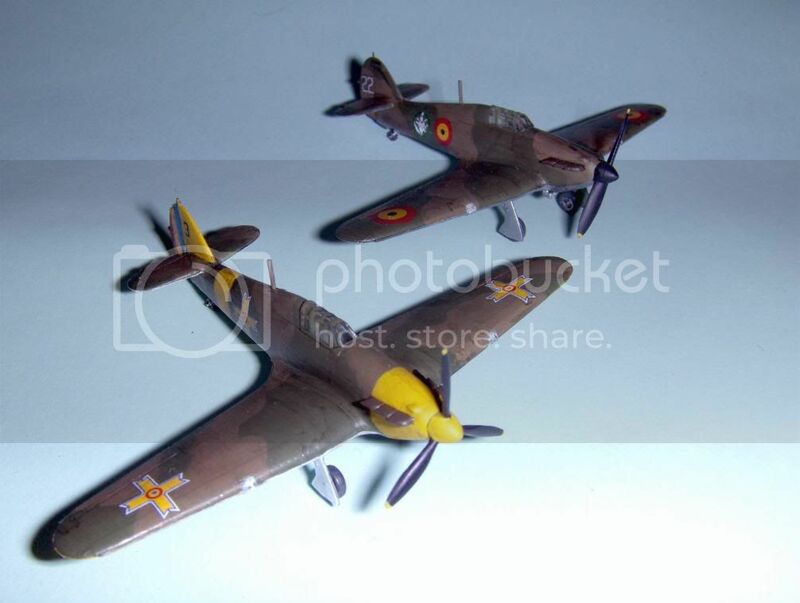 I do have the Me-262 nightfighter kit from Eduard but have not built it up yet, it is a vast inprovement over their Fw-190s although the 190's don't look to bad when finished. 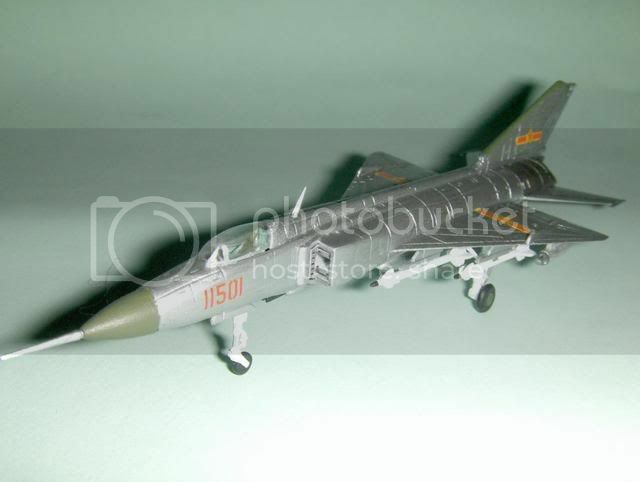 Hi Bruce, at the National's held here a couple of weeks ago I picked up the Dragon and Revell Harrier GR7 kits, the Dragon one is their old poor AV8B just with new weapons and a new nose while the Revell one is Blow your socks off out of this world!!!! Sorry thats very good if you didn't get the message i.e. 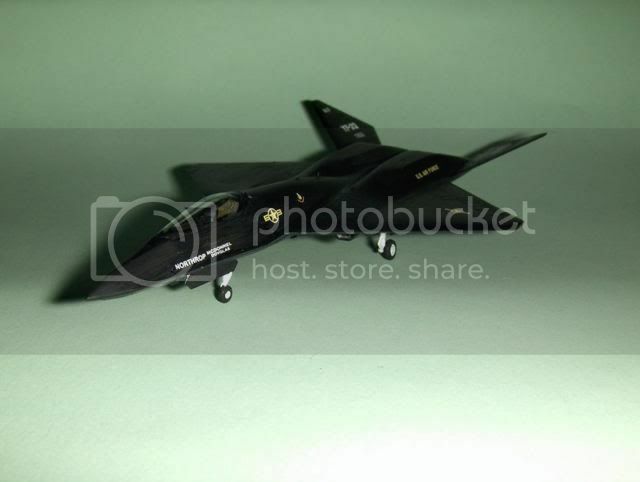 its to the same levell as their Hunter and new F-14A + D Tomcats. Like you I also picked up Sweets P-51B and the P-51B/C POW kits, both are up to Sweets very good standard. p.s. What stores comes with the GR7 ? What markings are included ? Bruce, the Dragon kit comes with Brimstone weapons and a GR.7 of 4 Squadron and a GR.9 of 41 Squadron. The Revell kit has markings for 20R Squadron and a aircraft of Operation Herrick in Afghanistan as for weapon load out this kit only has Sidewinders and droptanks so a weapon load will need to be found. i.e. buy three Revell kits and use the Dragon decals and weapons. a kit with a surprise inside ? Thanks for the heads up Chuck, I think the XB-70 may some how find its way onto my bench and that big Russian Bounder. As I stated before, we have plenty of new projects coming our way. And speaking of projects, what has evryone got going on on the workbench ? As for my self, I usually work multiples. (To allow proper drying time, I'll work another different project) At present I have a Revell Canadair Challenger in USCG colors, a Revell AV-8B in VMA-223 "Bulldog" colors, and last but not least, looking at a Sweet P-51B. On the workbench are two Sweet Hurricanes an Academy Ju-88 (poor kit) and a Revell F-14A Tomcat with a Dewoitine 333 about to join them for the 'tween wars campaign. Oh Bruce the company that make the little vehicles is http://www.pg-models.com they are N gauge which is 1/150 scale although most of the range is post war to modern British. It has been quiet for a while now. Hopefully that means everyone has been building . In any case, it's time to "kick the bushes", and get some talk going about our scale. 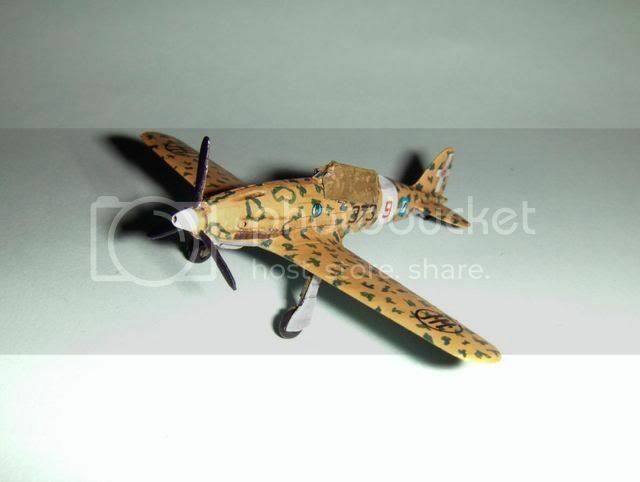 I'm finishing the Revell Canadair Challenger at present. Should be completed this weekend, I'll post phots then. This is completed as the C-143A of the US Coast Guard. This is something a little different, and a nice little colorful addition to the colection. Unfortunately the usual suspects are still on the bench, with addition of one more Platz F-4EJ, which will be done as a Kai and will go to my girlfriend and a TF-104G(hmm I may have writen it before) which I wish to finish as Turkish but I still don't have decals...didn't stop me on F-4E though:} Anyways. 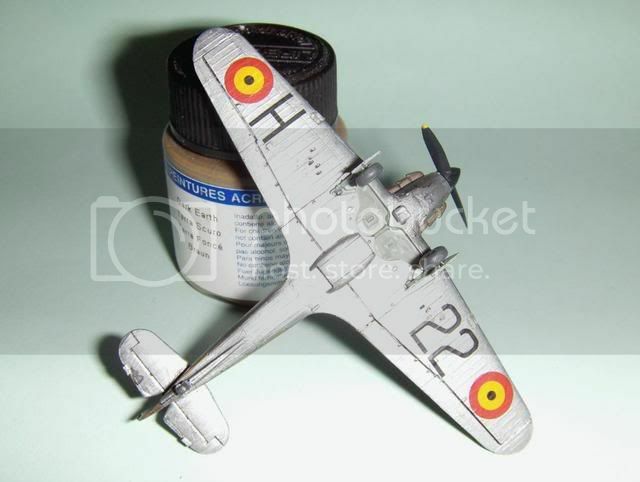 Did anybody realized that Café Reo has released two He111 kits? With dreadful adition, Fujimi is releaasing a UH-1N(which I already preordered) and a Lynx(probably Army version) in the rightful scale? Mincrat B-29 Enola Gay- Didn't realize I would have to make the turret covers as she carried no defensive weapons...arrgh. 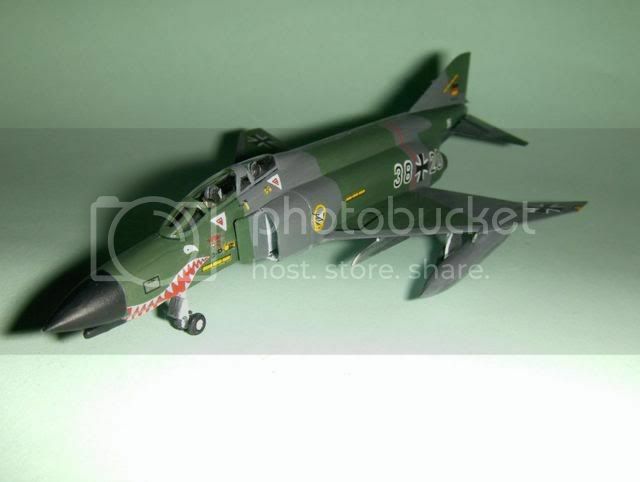 And finally, my favorite, Mincraft EC-121 Warning Star. I had a lot of fun with this one. I have a Heller 1/72 kit of this that will be started soon...."lord willin' and the creek don't rise"
I have several more of these itsy-bitsy scale kits on the shelves. I fid them a nice relaxing build as I usually dont have to worry about masking canopies, interiors etc. Build it, paint it, put some decals on it and its done I'll keep better tabs on this forum. Thanks, "Q"
I was able to get primer on my L-188 Electra yesterday. Will begin polishing it out for its white over NMF. It will wear National Airlines markings. More pics to follow. "Q"
ps. There is a 1/72 Rescue C-47 underway in the background too..
One I'm definitely looking forward to. Will round out my "planes I've jumped from" collection. "Q"
Been quite in this thread for a while. But here is some that I've been doing recently. On the bench at the mo. Macchi 202, SR-71, F-4J and 2 x P-51B Mustangs.